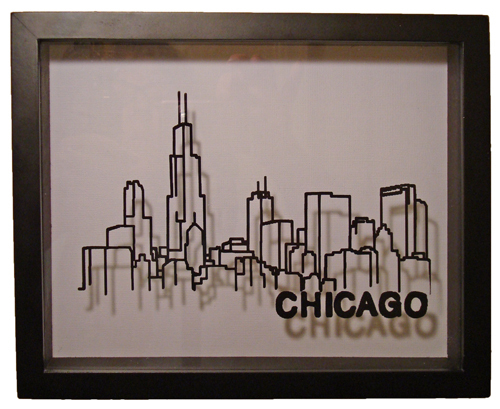 Chicago Skyline Shadowbox – by Embroidery Machine! Would you believe Pam Varner painted the skyline for this shadow box on her embroidery machine? She did! Pam, a WeAllSew fan, converted an embroidery design using her PaintWork Software and then painted it using the PaintWork Tool on her embroidery machine. To see how it all came together, visit Pam’s blog, My Sassy Notions. A tip from Pam: If your pens don’t fit into the holders well, try wrapping them with blue tape. It comes off easier than masking tape. Previous Previous post: Churn Dash Quilt-Along – We’d Love to See Your Quilts! Next Next post: What a Difference a Stitch Makes!